After operating as a 600 vertical foot surface lift facility for four seasons, it was decided that Squaw Mountain should be expanded into a major area. In 1967 a new Stadeli 5,918 foot long double chairlift was installed, climbing 1,440 vertical feet. The addition of the new lift resulted in an increase in the resort's advertised vertical drop up to 1,700 feet, instantly making it the second largest area in the state (behind Sugarloaf). The new lift would initially serve 41 acres of new intermediate and expert trails. 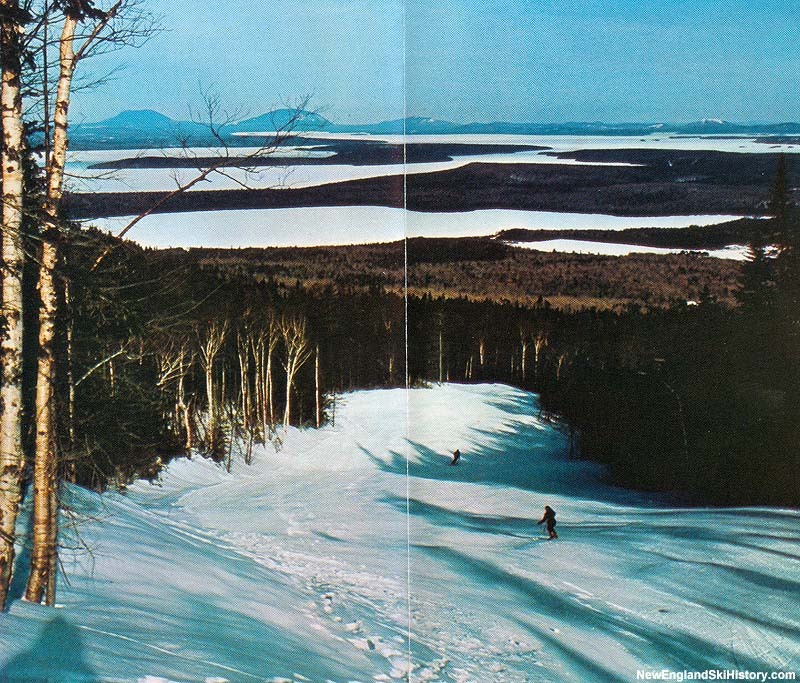 One of the new trails, the Penobscot, was considered by Sel Hannah to be the most scenic he had ever designed. A new base lodge was constructed at the foot of the new trails. 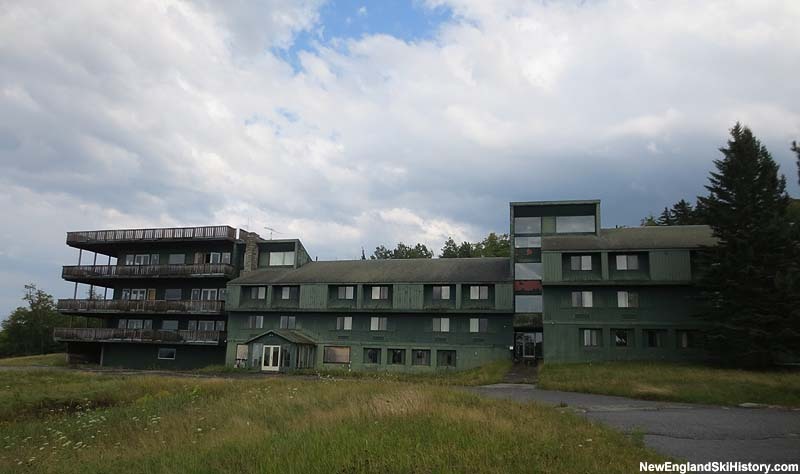 Two years later, a new hotel was constructed adjacent to the new lodge. 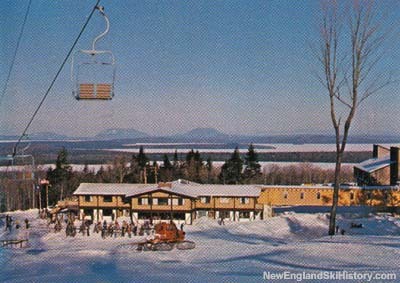 Experiencing hard times during the early 1990s, the upper mountain likely did not operate for the 1992-93 season. 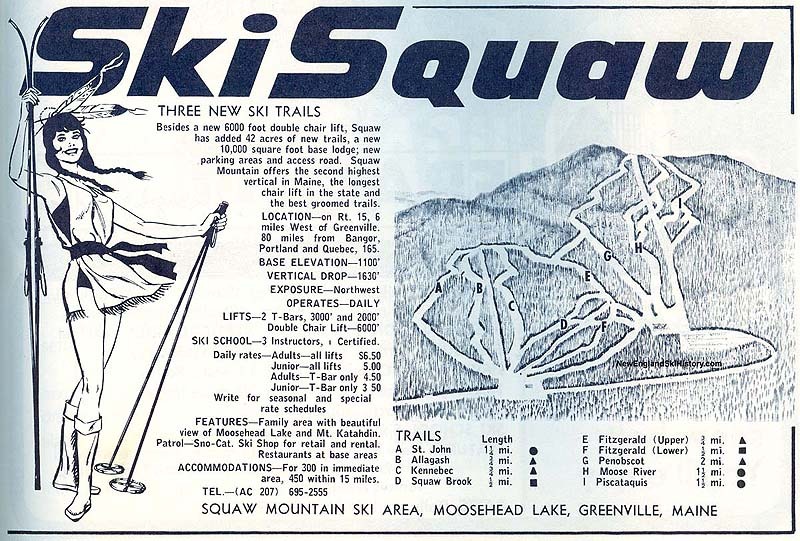 The double chairlift would eventually be named the Thompson Double Chair. On March 7, 2004, a chair grip on the Thompson Double Chair failed, resulting slide back, collision, and drop, causing four injuries. Initially slated for replacement, the Thompson Double Chair has yet to be fully repaired or replaced. 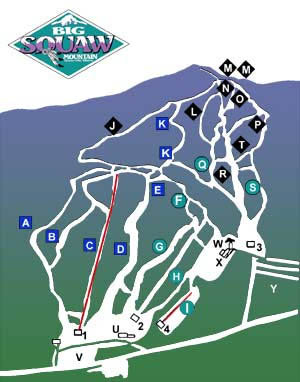 The 2013 reopening of Squaw covered only the lower mountain. 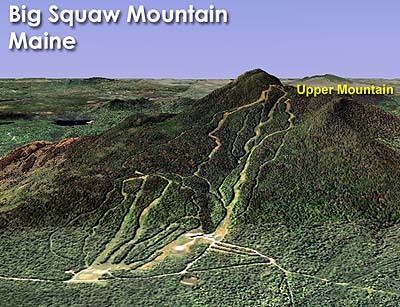 It is not known if or when the upper mountain will reopen. A monorail served ski area? A 5,000 acre resort with a tram and monorail? Almost.